If you have any items of interest from the park's history please get in touch using the Contact Us page or email to photos@fbcp.org.uk. 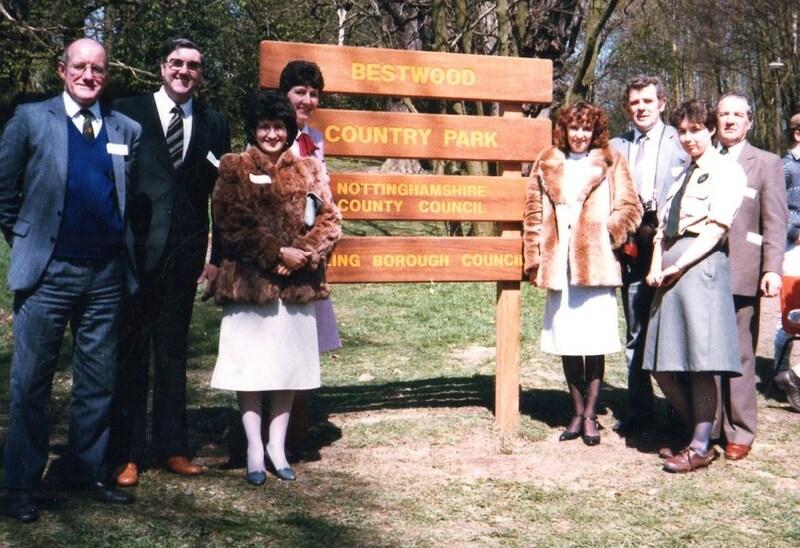 The photo below was taken on the day in 1973 that Bestwood Country Park was officially opened. Denis Beeston, (Vernon) John Smale (Parish Council Chairman), Carol Mayes, Bernice Young, Cath Guest, Eddie Inskip, Ranger Anna Chylak and the late Gordon Pickering. How proud they all look and rightly so - look at the park we have today thanks to their efforts. You can download back issues of the FOBCP Newsletter by clicking on the icons below.